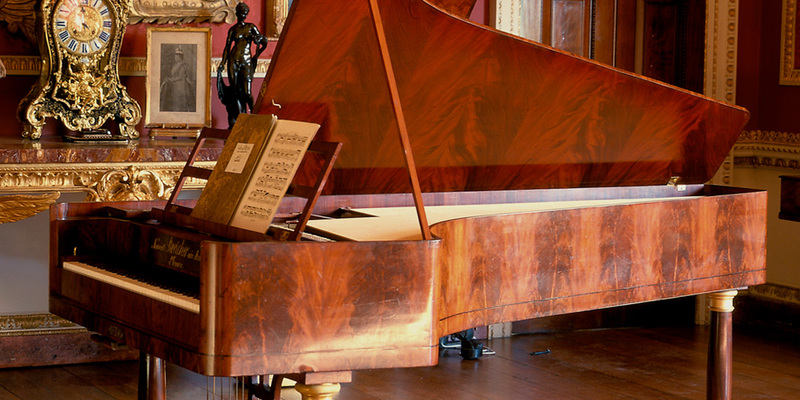 Made by Beethoven’s favourite maker for King George IV in 1823, the year in which Beethoven was in correspondence with the King asking him to accept the dedication of the piano version of the Battle Symphony. This must have been one of very few Viennese instruments in England at the time and, unusually for this maker, it incorporates a drum, bell and cymbel. Loaned by H.M. The Queen to National Trust, to be in the care of the Cobbe Collection Trust.